You’ve heard of Sugar Plums, but have you ever heard of Sugar Dates? 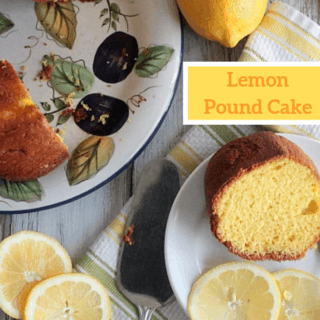 Well, let me introduce you to one of my favorite power snacks! I love eating these as is, but when you add a bit of creamy peanut butter it takes it to a whole other level! My Sister in Law gets the credit for this tasty treat. She made these as quick bite-sized snacks as we prepared holiday meals. 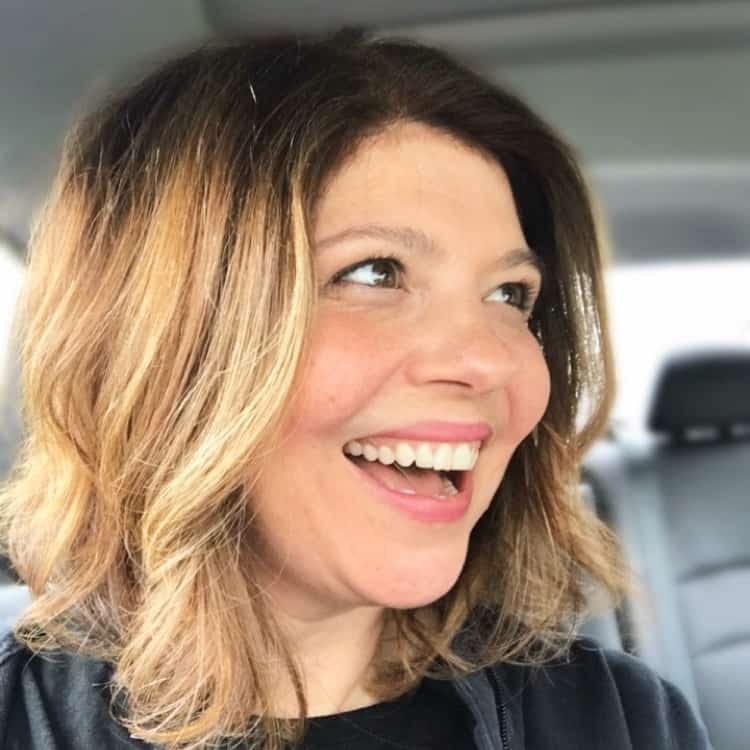 At first I thought the combination of a dried date and peanut butter sounded gross, but then I tried it and wouldn’t you know, I couldn’t stop eating them! During the holidays, she rolled them in granulated sugar which looked fancy and tasted good too. I enjoy dried date year round, especially as a recovery snack after a run. They are considered to be the “gold mine” of vitamins, are an excellent source of iron, and are packed with more health benefits than I could list here. 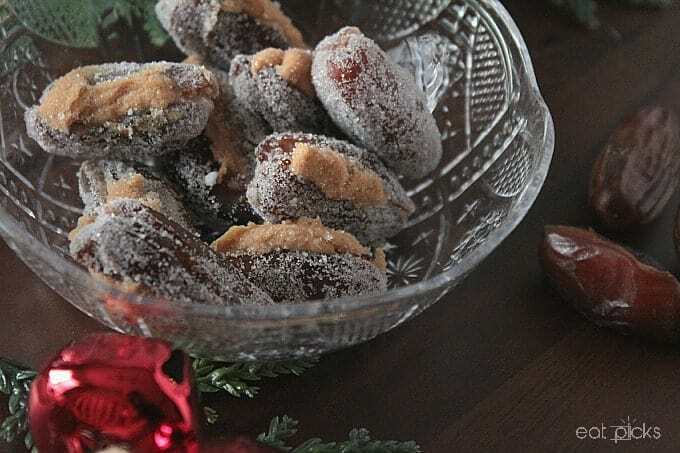 If you are looking for a great holiday snack to add to your appetizer table, then consider serving this dried dates recipe, just make sure you make a lot of them, because once they are tasted, they will go quick! Find the slit in side of dried dates (this is where the pit was removed). Spread a small amount of peanut butter in slit. 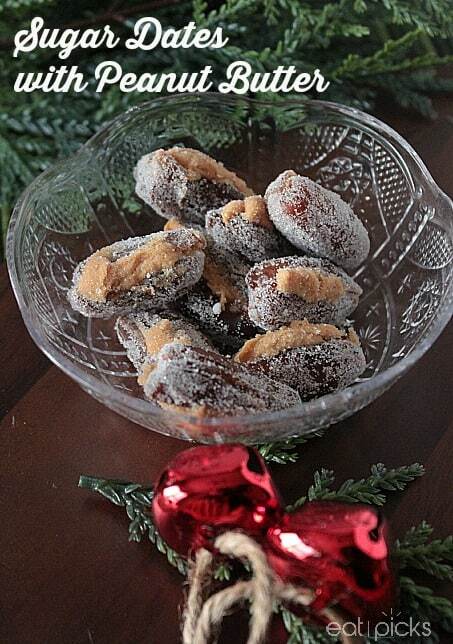 Dried dates with creamy peanut butter rolled in sugar is an easy, nutritious alternative to add to the holiday snack table! enjoy year round too! Find the slit in side of dried date (this is where the pit was removed). Dress up that holiday table or keep a few in a zip-lock bag for after your gym workout, or a great snack for that long road trip. 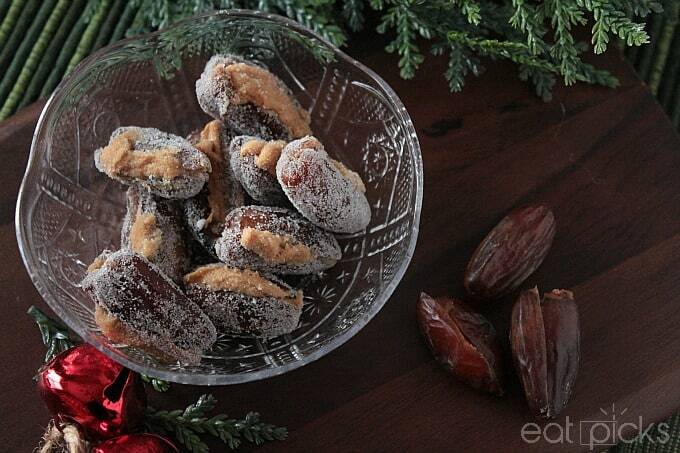 These sugar dates really are the perfect food for one and all! 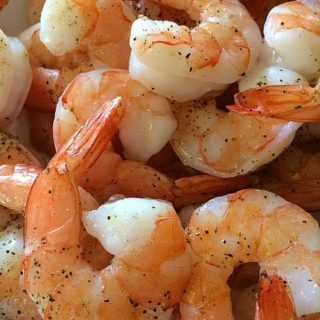 Do you have a super easy snack recipe? I would love to hear it! My mother always included these on her Christmas cookie trays. This is my first time revisiting this 70’s nostalgia treat for our Solstice party buffet. 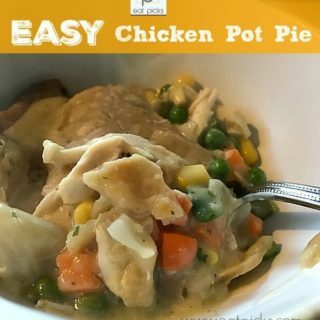 Easy anddelicious! My grandmother taught us how to do this and my kids love them too. I often wonder where it originated?